During Women’s History Month 2017, the 1,000 Dreams Fund and tech company HARMAN teamed up to present the “New Face of Tech” Challenge. We searched the nation far and wide to identify and spotlight the next generation of female leaders in STEM. 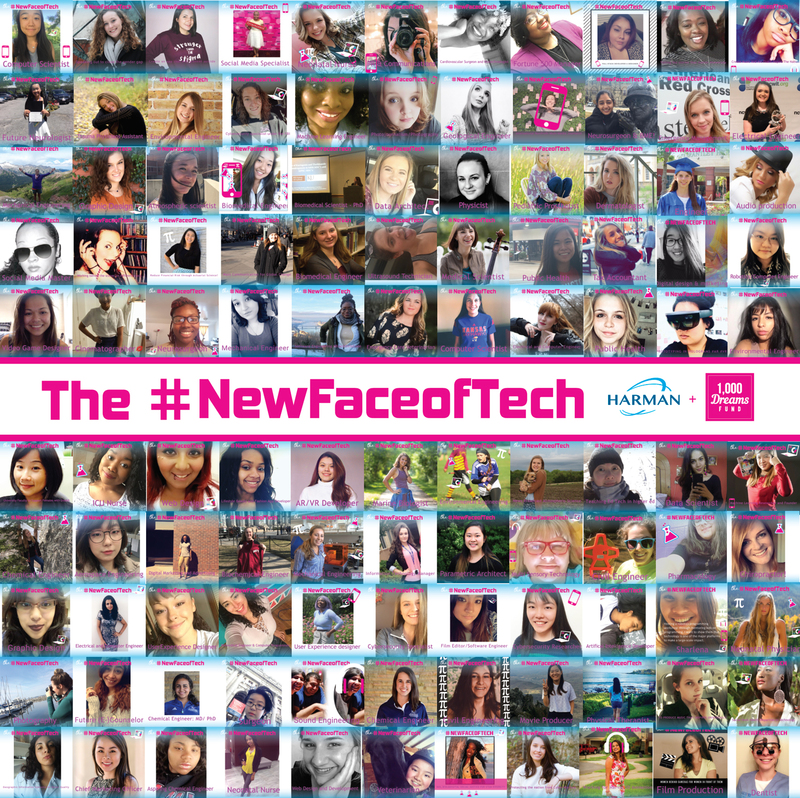 Over 125 young women in high school and college shared why they represent the #NewFaceofTech. Following a week-long vote, we are thrilled to announce our winners — Chinasa and Brenda. Both of these STEM stars received $3,000 towards their tech dreams and a professional mentoring session with HARMAN team members. Thanks to everyone who entered! You truly are the New Face of Tech!